LYNCHBURG, Va. & LOUISVILLE, Ky.
"Value-based care creates a framework that allows primary care physicians to spend more time with patients, arms them with the tools they need to truly manage their patients’ health, and aligns the health care system to be more responsive to the people it serves." LYNCHBURG, Va. & LOUISVILLE, Ky.--(BUSINESS WIRE)--Collaborative Health Partners (CHP) and Humana Inc. (NYSE: HUM) have teamed up on a value-based health care agreement designed to offer Humana’s 4,000 Medicare Advantage members in Lynchburg and throughout Central Virginia an option for a more coordinated, more personalized health care experience. Value-based care, also known as accountable care, is a growing national trend representing a shift away from the historic health care model that focused on treating individual health events. Value-based care aligns all players in the health care system to focus on a person’s overall health and long-term well-being. CHP, a clinically integrated physician network consisting of Central Virginia Family Physicians, Medical Associates of Central Virginia, Physician Treatment Center, and Access HealthCare, includes 100 physicians. “We are excited to develop this relationship which further supports CHP’s mission to support broad access to quality, affordable, and personalized health care for our patients,” Shawn Crawford, CEO of CHP. Through the new agreement, Humana’s population health capabilities, including predictive analytics, chronic disease management and wellness programs, will complement CHP’s integrated health care network and patient centered medical home initiatives. The goal, according to Humana Medicare Products President Neil Steffens, is to place primary care physicians at the center of the health care system. The agreement includes value-based incentives tied to performance improvement and quality outcomes, emphasizing standard measures defined by the National Committee for Quality Assurance (NCQA) Healthcare Effectiveness Data and Information Set (HEDIS) including breast cancer screening, colorectal screening, comprehensive diabetes care, and high-risk medications. 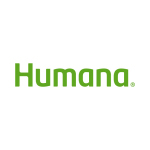 Humana has nearly 30 years of accountable care experience, reflected in results from approximately one million Medicare Advantage members that showed significant improvements in quality, outcomes and costs through partnerships like the one with CHP. Today, Humana has 1.6 million individual Medicare Advantage members and 200,000 commercial members today that are cared for by approximately 44,000 primary care physicians, in more than 900 value-based relationships across 43 states and Puerto Rico. For more information, visit humana.com/accountable-care. CHP brings together independent physicians and specialists to streamline care, increase cost efficiencies and improve access to community resources. Because CHP has the largest primary care network in Central Virginia, they have a deeper, more patient-focused platform to align around quality and cost in a way not achievable in traditional health care models. More information regarding CHP is available at www.collaborativehp.com.